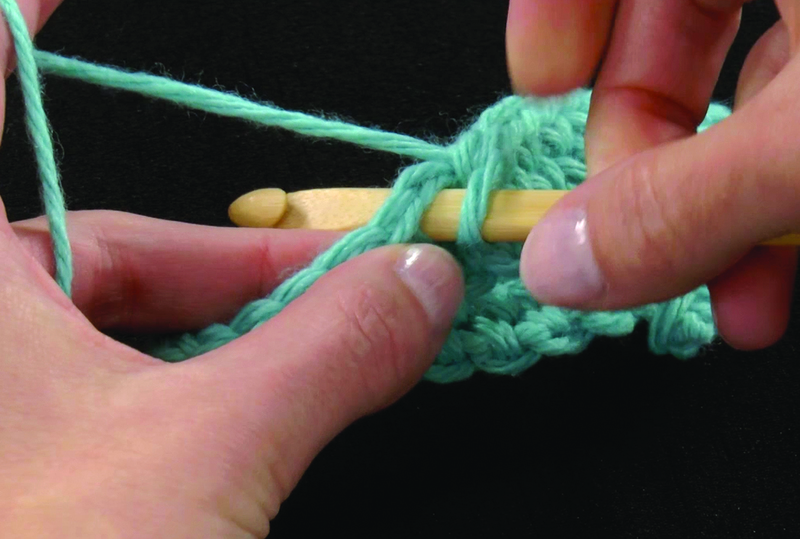 The split single crochet stitch can be worked in the round or in rows. Both variations make a dense knit-like fabric perfect for purses, totes, throws, rugs and hot pads. To work the spilt single crochet stitch in the round, insert hk between the legs of the next st, yo, pull up a lp, yo and pull though both lps on hook. 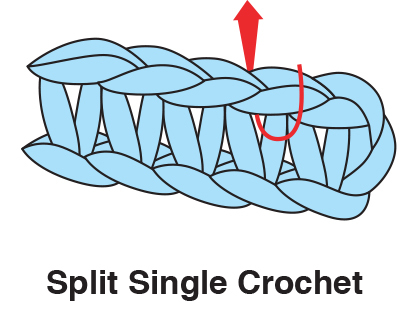 To work the split single crochet in rows, insert hk between the legs of the next st and under the horizontal bar, yo, pull up a lp, yo, pull through both loops.